Parsley, a common dinner plate garnish, is high in chlorophyll, providing odor-reducing qualities that may help eliminate strong odors such as garlic from the breath. 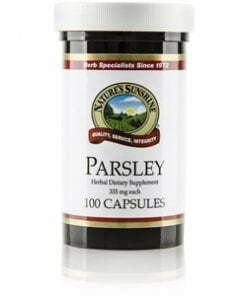 Parsley also nourishes kidney function and the urinary system in addition to providing for general nutritional needs. 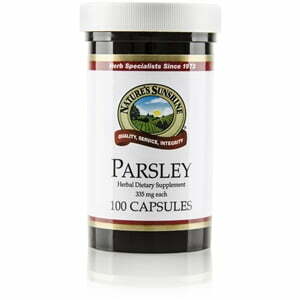 Nature’s Sunshine Parsley comes in 335 mg capsules.